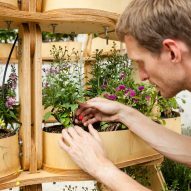 Planting boxes can be bolted together to create mini gardens and farms, with this simple construction system devised by Danish architects Sine Lindholm and Mads-Ulrik Husum. 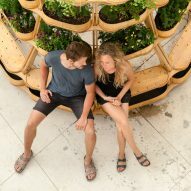 The duo, who run a studio called Husum & Lindholm Architects, want to make it easy for anyone to construct their own three-dimensional garden – so developed a modular building kit that can be assembled in endless different configurations. 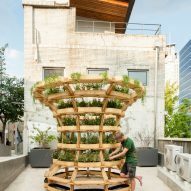 They plan to make the design open-source, so anyone with a CNC machine can produce the plywood components, then use them to create the plant-covered structure that best suits their needs. "As architects, we have to address new technologies," said Lindholm. "We have to think about how can we build and produce designs that people can grasp, and that they can build themselves." 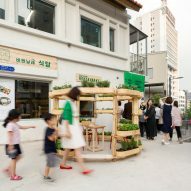 The architects are presenting their designs at the inaugural Seoul Architecture Biennale, an exhibition that showcases ideas and strategies for the cities of the future. 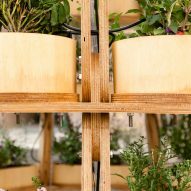 The system consists of just six parts, which include a standard-sized planting box, shelves and fixings. 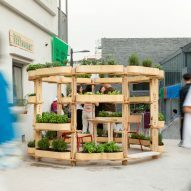 "It's like a Lego system," Lindholm told Dezeen. 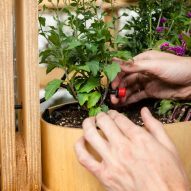 "The parts can be rotated vertically and horizontally, so it's totally flexible. You can really freestyle, and build anything you want." Lindholm and Husum first starting developing the design in 2016, in collaboration with IKEA's innovation lab Space10. 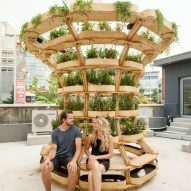 Together, they produced Growroom, a spherical garden design that they presented at the CHART Art Fair in Copenhagen and the IKEA Festival in Milan. The feedback they received about that design led them to develop a more flexible system, suitable for a space of any size or shape. They call the new design Growmore. 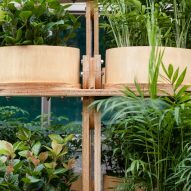 "You can have it indoors or outdoors, you can use it for dividing spaces, or you can use it as a quick way of building up a very airy and transparent space," said Lindholm. 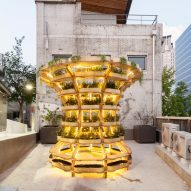 Lindholm and Husum have used the system to create three different structures, which are dotted around the Donuimen Museum Village – one of the biennale's two main venues. 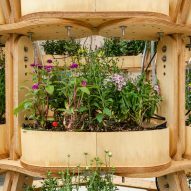 The first is an "urban room", which is filled with flowers that attract bees. 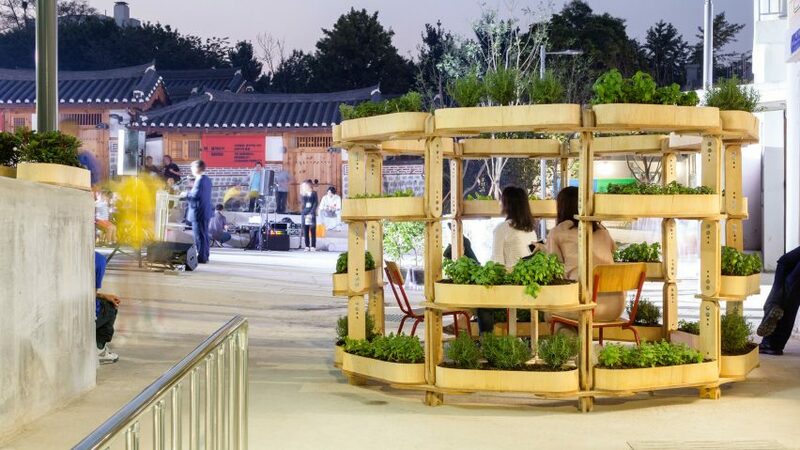 There is also circular structure planted with herbs and vegetables, which serves the on-site restaurant, and a more abstract construction that contain bushy plants. All three structures are based on forms found in nature. 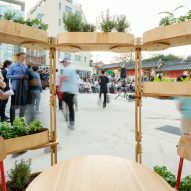 The architects hope they will create places of social exchange, but could also become places for refuge for weary visitors. 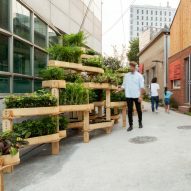 Seoul Architecture Biennale 2017 opened this weekend and continues until 5 November 2017. 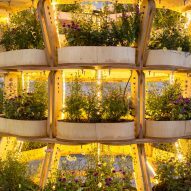 The plans for Growmore will be made available to the public after the exhibition is over.